“Bold as Love” is a refreshing antidote to our society’s “political correctness” and the constant worrying about offending people–which causes us to never talk to people who are “different” from us in any way lest we say the wrong thing. It is also right in line with missional living and with the example Jesus gave us for how to do missions. Pastor Bob Roberts teaches his readers how to reach out and form genuine friendships with Jews, Muslims, or any other people group, and gives encouraging stories about how his own church started doing this. Living in the United States we truly have the world at our fingertips. Migration has brought people from nearly every country on earth to the U.S. and they are our neighbors, co-workers, friends. But, this migration often creates fear because of misconceptions of those who are different from us. We are taken out of our comfort zone and we all too often opt to return to “safety” rather than engage someone from another culture. We want security; God wants exposure so that he’s glorified. We want ready-made plans for every challenge; God requires faith and trust to follow him. We want faith without risk and ministry without pain. But what we’ll find is that the most difficult times of life are often the most fruitful times (page 52). We are here to glorify God and to make Him known…so what are we afraid of? I have had the privilege of being on the “launch team” for this book, which enabled me to participate in a live chat with the author and the other team members…and I am so thankful for this opportunity! It was so amazing to see that there are so many like-minded Christians out there who are ready to change the status quo. This book is one that I am SO excited about because it falls in line with the passions God has given me and with the Great Commission that He has given to each of us as believers! This book is available starting 12.04.2012 but you can pre-order it on Amazon. I received a free copy of this book from Thomas Nelson/Handlebar Marketing in exchange for my honest review. I started reading this book on a flight to California thinking that I would just read a couple of chapters and finish it later. I finished the book before we even made it to California. I couldn’t stop reading because the message resonated within my heart as being absolutely true! The message within these pages is one that I have experienced on every mission trip (both domestic and overseas)…it is a message that God has been revealing to me through various authors and books over the past couple of years, and I cannot deny the truth behind these words. “Radical Together” is a companion book to “Radical”, and it contains a message that is so important for every Christian to read and apply to their lives. He writes from experience and uses biblical truth to prove what he suggests throughout the book, and his message is so clear: we are missing what God has called us to do. 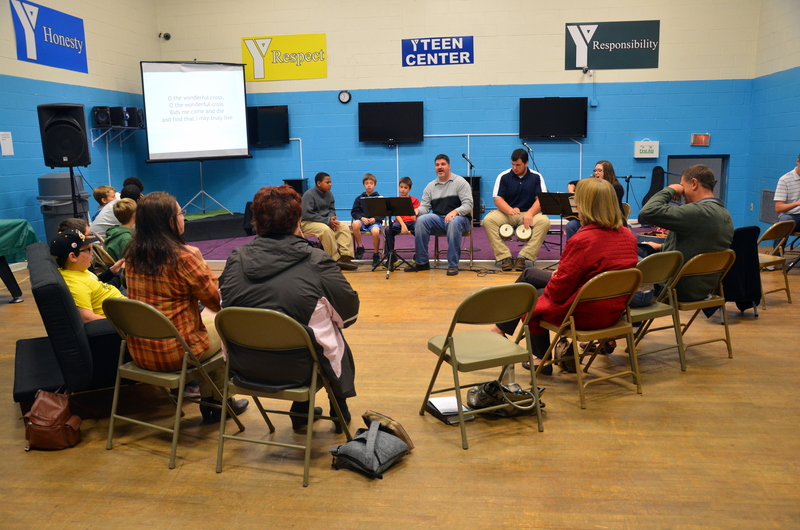 The author describes several things that are inhibiting the Church in America from truly making a difference in their communities and in the world–including programs, buildings, and activities. This book points out that good things can get in the way of the BEST things. We become so focused on our programs, on the things that our church offers, that we lose sight of why we are really here on earth–which is to reach the lost and to teach the Gospel to all nations. 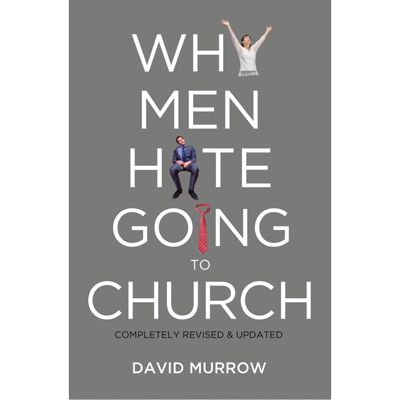 David Platt writes on page 9, “We must be willing to sacrifice good things in the church in order to experience the great things of God.” He also writes: “The last thing you and I want to do is waste our lives on religious activity that is devoid of spiritual productivity–being active in the church but not advancing the Kingdom of God” (page 8). I wrote down quote after quote in my journal so that I wouldn’t forget the wisdom contained in these pages. David Platt challenges the American Dream that has woven its way into the church and the way we do ministry here. He gives example after example of how radically life can change when we live biblically. I don’t want to give too much away–this is definitely a book for EVERY Christian to read and to apply to their lives. We are missing out on so much because we choose to live comfortably and because we choose to stay within the walls of the church. 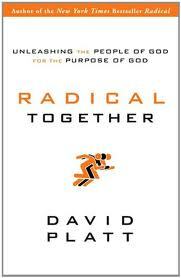 I highly recommend “Radical Together”! I received this book for free from WaterBrook Multnomah Publishing Group for this review. I was not required to post a positive review. Time seems to crawl so slowly as you are living day by day, but when you look back it is amazing how fast it seems to fly. This year marks ten years since high school graduation, nine years since my first summer in Williamsport, PA as a missionary, six years since college graduation, and three years of living in Pennsylvania. It truly feels like yesterday that I packed everything into my car and headed across the country with my mom, taking our time to enjoy the beauty of the United States. It doesn’t seem possible that it has been three years now. In those three years, I have changed SO much. I am still trying to figure out what “career” fits me best, but determined two years ago that politics are not for me. That’s a huge change from who I used to be. I traveled to Haiti last May and was forever changed by the realities there…I will never look at wealth/poverty the same way again. I traveled to Brazil last May and my church planting philosophy was forever changed…I want to plant churches the way that Jesus did: by being missional, not attractional. I’ve had one full-time job, two part-time jobs (at the same time), have been a temp and have been unemployed. I’ve moved three times already (not including the move to PA) and will move again in September. I’ve grown in my photography skills and have learned what I like to photograph and what I don’t enjoy. I’ve established incredible friendships with godly, supportive, encouraging women here, unlike any friendships I’ve ever known. 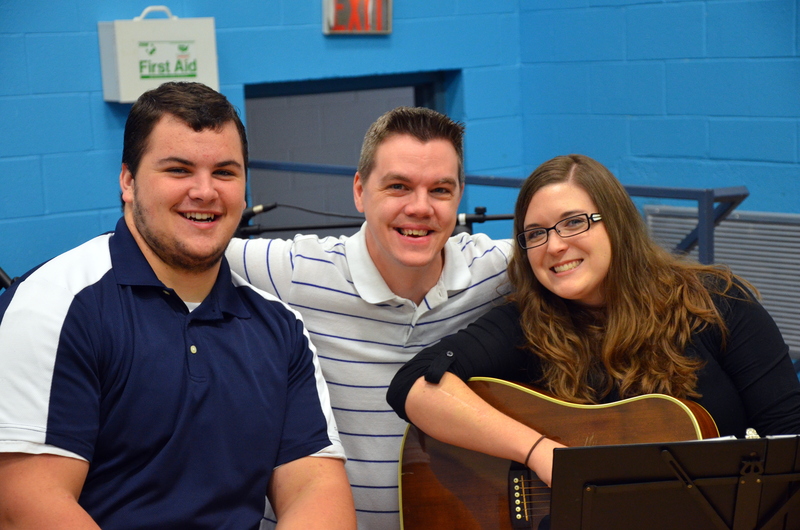 They have blessed my life in countless ways and have helped me grow through challenges. And, perhaps the most obvious change: I am married. Eight months after moving across the country, following God’s calling, I met my now husband. How amazing our God is–that when we follow His call and live according to His Will, He blesses us more richly than we could ever imagine! We have grown so much as a couple in the past nine months of marriage, and I am SO excited about the growth to come! Brennan is my greatest support, my best-friend, and I can’t wait to see what the future holds. Pennsylvania is my mission field. This is where God has called me to serve Him and to build His Kingdom. I came here with only that purpose in mind, a purpose from which I have strayed in the past year. I’ve allowed life to become “too busy” and realized recently that I need to constantly remind myself that I am here to help plant churches, to proclaim Jesus in every aspect of my life, and to bring glory to Him and Him alone through my actions/activities. Everything else needs to take second place to my mission here, now “our” mission here. Three years…and what a fabulous journey these years have been.